Restaurant and bar Memphis is located in Kamppi shopping center. It is part of HOK-Elanto Group; biggest restarant owner in Helsinki. Memphis is intended for young adults but pay attention that on Friday and Saturday evenings one has to be at least 20 years old. DJ plays music during those evenings. Restaurant accepts reservation if you have at least 8 person in your group but be sure your table is at upper level by the wall not at lower level. Tables by the bar are more or less quite primitive to dine. 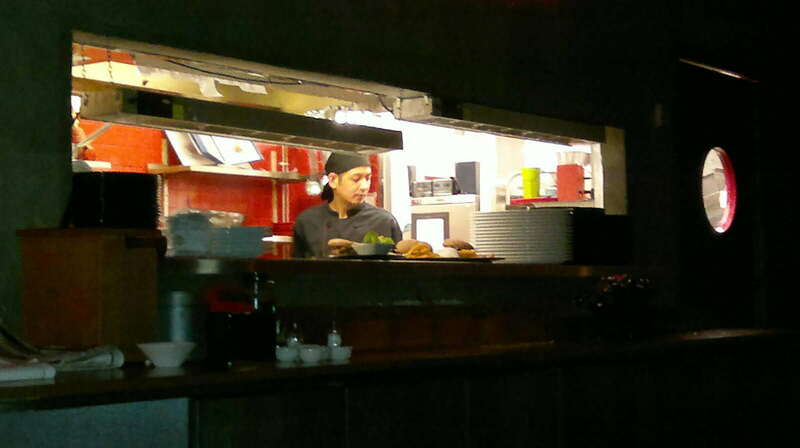 One can also watch cooks at work in open kitchen. A la carte list is quite demanding for “fast” food type of restaurant because you can choose e.g. from Rocking Woks, Roasted Organic Bread, Low Fat and Carb or Chicken and Duck and as you can also see from the names of portions. When one arrives, popcorn bowls are waiting at the tables. We were told it would take at least an hour to get main courses (actually took one hour 20 minutes) but starters would be faster (took 40 minutes). Motivator to order starters? For main courses we ordered Memphis Burger Classic Two beef patties total 150 g with bacon and cheddar and De Luxe Burger Two beef patties total 220 g, with bacon, cheddar and Memphis BBQ sauce (simple, positive things: bread was made from wholemeat and french fries were enough crisp and salted). Teriyaki Tuna Orange pepper-spiced grilled tuna steak 180 g with teriyaki sauce (waiter asked for roasting time, ordered medium but was served over well-done). Chicken Caesar Grilled chicken breast, Romaine and iceberg lettuce, Caesar dressing, organic bread and Parmesan shavings and Shrimp Caesar Teriyaki-flavoured king prawns, Romaine and iceberg lettuce, Caesar dressing, organic bread and Parmesan shavings (too much Caesar dressing) . Memphis Steak Hoisin-flavoured grilled beef sirloin steak with grilled pineapple, jalapeño, aioli and fries (pretty ok). Low Fat Chicken Grilled chicken breast 150 g with harissa-infused quinoa, red onion, soy beans, sweet pepper, Romaine lettuce, orange yoghurt and grilled fresh pineapple (ok also for well being food). Memphis is easy-going place and attracts people to stop by if they use Kamppi subway or bus station and place is OK for that. But during busy times it takes too much time to get food unless you are prepared to stay at least 2-3 hours and not hungry. Restaurant Loiste is located in the heart of Helsinki at the 10th Floor of Hotel Vaakuna and Sokos department store. There is a fantastic view from terraces and part of the restaurant windows. If you are seated on the right side of the restaurant when you come in you can not enjoy of the view, unfortunately. Therefore ask for window table and you can take a look at Kamppi shopping center, old bus station and Lasipalatsi (in english Glass Palace). 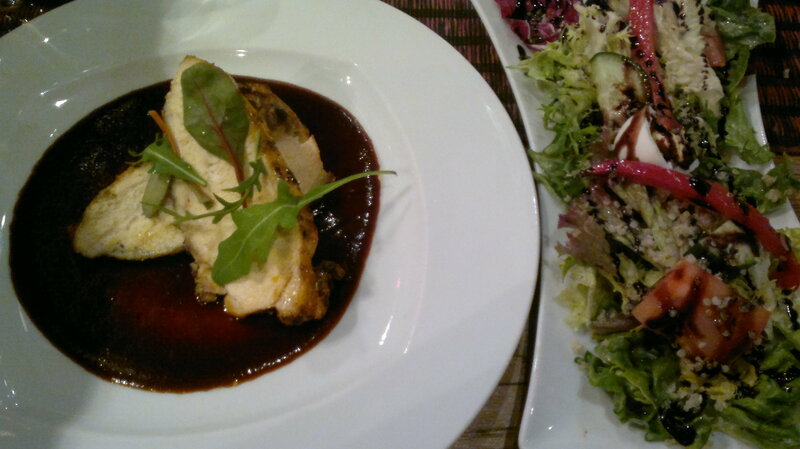 Loiste is casual type of restaurant but tries to put effort on the menu and food. There is also playground for the children; if you do not need this “service” as many hotel guests might, be sure your table is not close to it because of the noise. For this reason we gave lower overall grade. 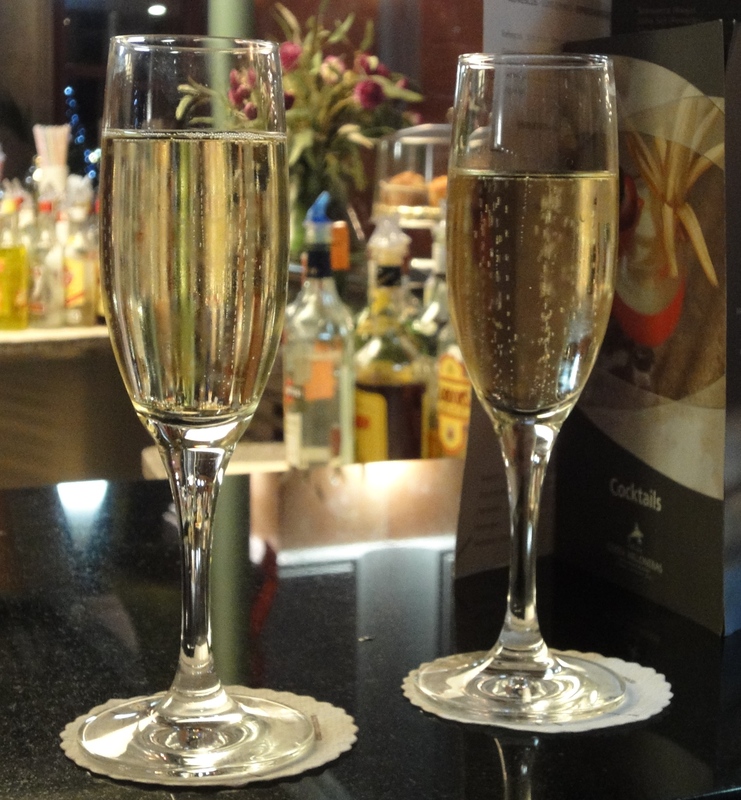 If you want to enjoy aperitif or you are not hungry enough you can always visit Bar Loiste which serves you on the same premises, at 10th floor. You could choose three different type of starters. 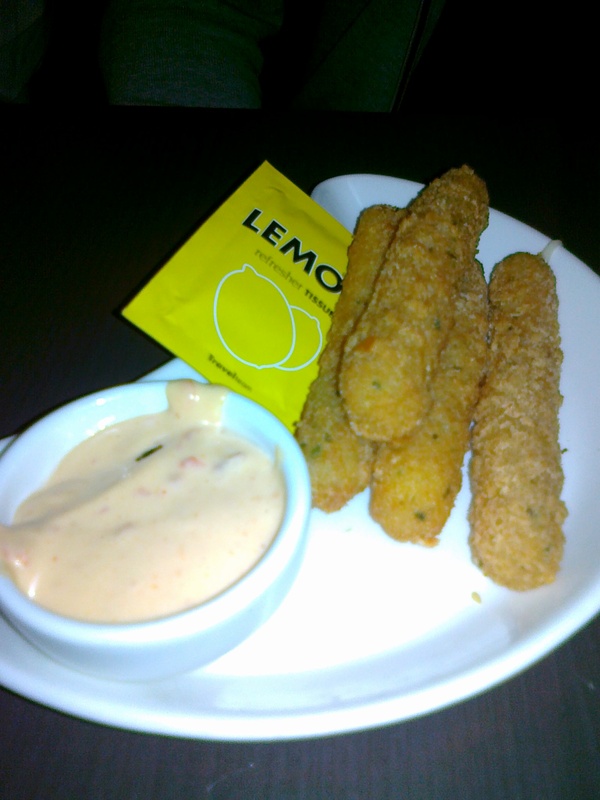 Restaurant has on the menu “Snadit”, small appetizers, as one option to start your dining. 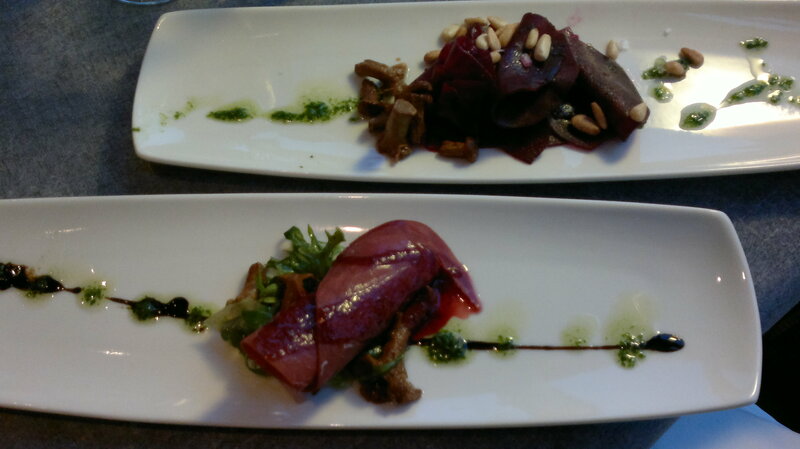 Two other options for starters and main courses are “Herkkuja Pohjolastaie. Delicacies from the North” and “Pohjolasta Etelään ie. from North to South”. Menu includes mainly Finnish genuine food but also provides flavours of European kitchens; mainly Southern part and Italy. From a la carte list we first chose “Snadit” i.e. 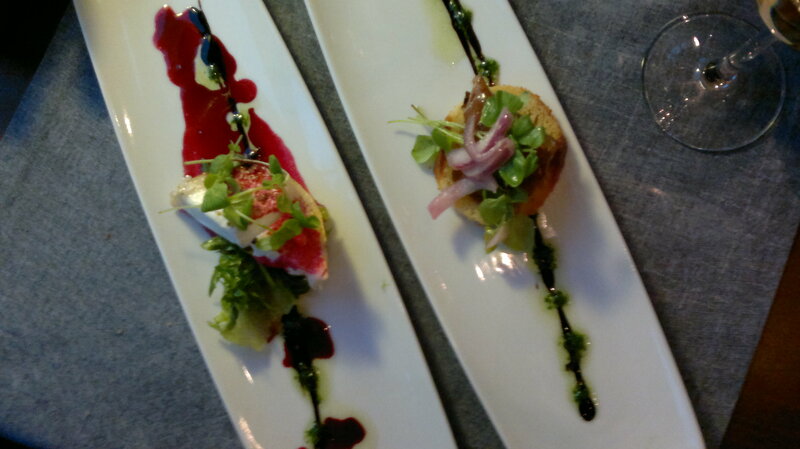 Duck liver toast with fig compote and Goat Cheese with honey-beetroot syrup. Duck liver toast smelted smoothly in the mouth. Goat cheese should have been grilled a little bit more. Beetroot carpaccio and herb foam and Smoked reindeer with cowberry syrup. Both were delicious; one suggestion for improvement, should not use cold meat as restaurant obviously aims for high standards. 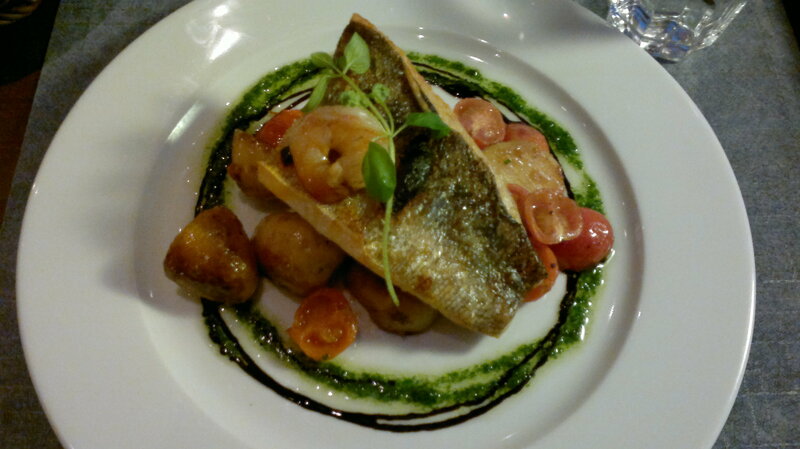 For main cource chose from Delicacies from the North Fish of the day with vegetables and aspargus potato pyre. 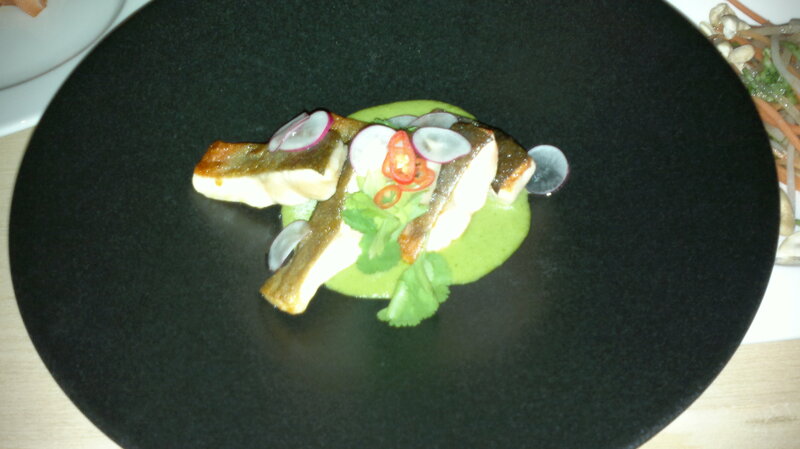 Fish was typical Finnish fish Pike Perch and perfectly roasted. Excellent flexibility from the kitchen also when we asked some changes. 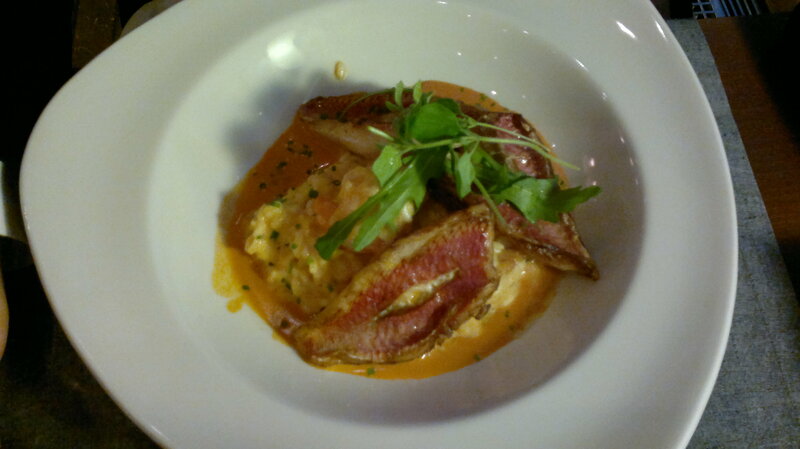 And from North to South chose Red Mullet with shellfish risotto and crab stock which was generous portion, risotto properly prepared and surprise was the amount of prawns and pieces of scallop. Usually you can only taste the flavours of risotto. 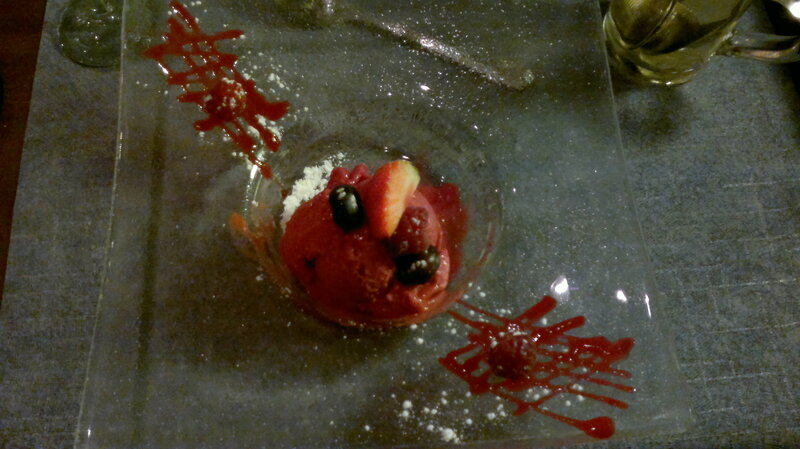 For dessert chose only Red Currant sorbet which was nicely served as you can see from the picture above. Wine list is short and consists of quality wines. Means also that bottle of wine increases quite a lot the total price of the dinner. 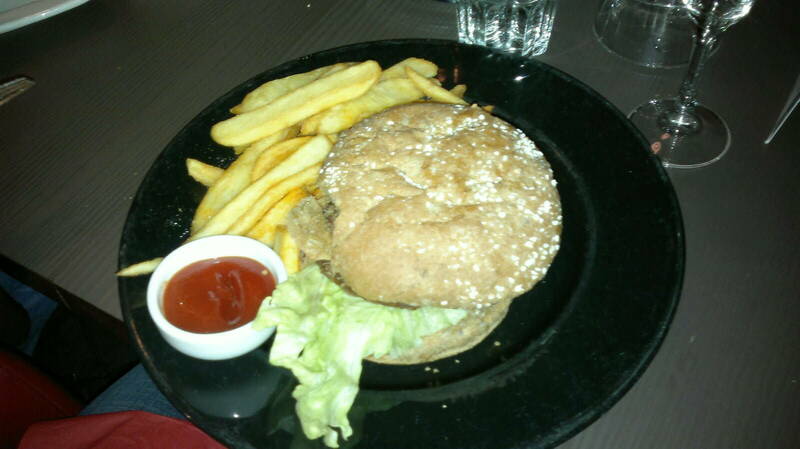 Restaurant Loiste has upgraded it’s menu, a year ago served also hamburgers. Requires a lot from casual type of restaurant but succeeded well this time! 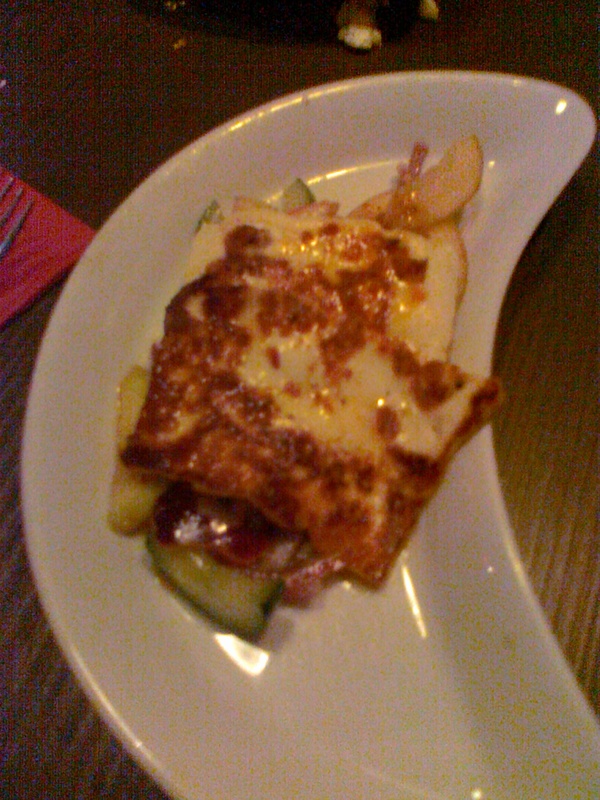 Restaurant BBQ House is situated by Greek restaurant Minos at Kamppi shopping center. They even share toilets. Restaurant also has heated outdoor terrace which expands in the summer for large bar and terrace area. BBQ House states it provides latino kitchen and it is specialised in steaks, no suprise by the name. When we visited restaurant there was Aussi weeks with special menu,not so close to latino? Interesting is that BBQ House has lava rock grill, quite unique in Helsinki and Finland. 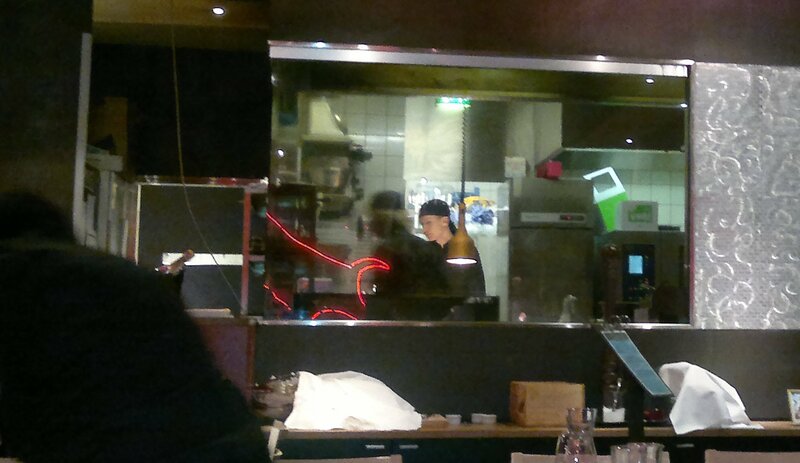 Also you can watch how chefs manage to do they work in open kitchen. If you are co-op member you can get discount for some portions and collect points. Also interesting detail is that dishes on the menu are also in portuguese but of course also in English and Russia. Latino flavour? Tried to make table reservation same day but was told it is not possible anymore. Restaurant was full when we arrived and we were offered call back if we liked to dine. After 1/2 hour waiting time in a near by bar we got polite call; our table was ready. Great service! 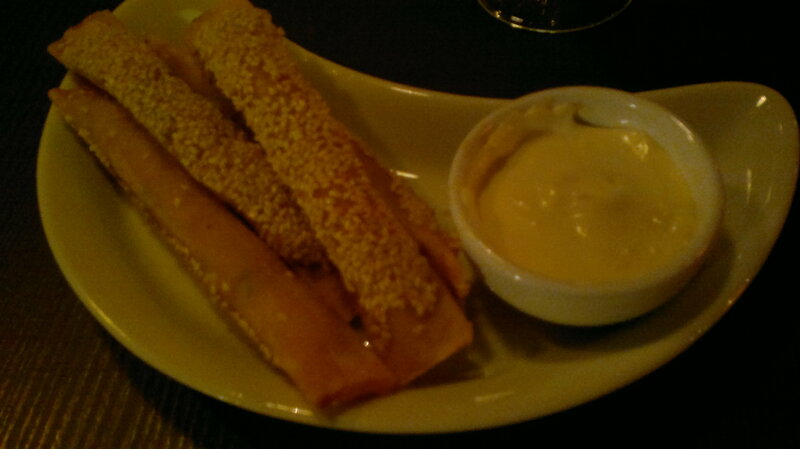 For “Entrades – Appetizers” we chose Tapas which were not like Spanish Tapas. 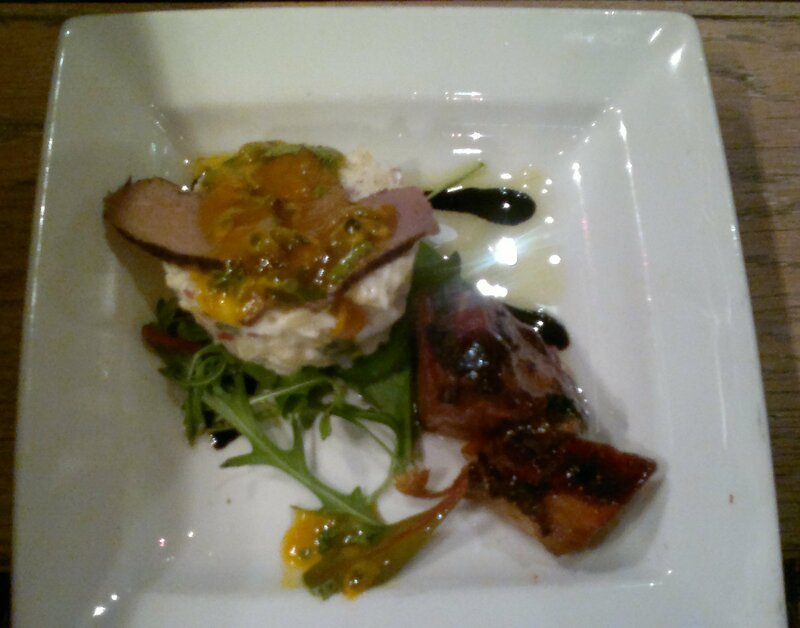 From different alternatives we decided to taste Springbok antelope, glazed with passion fruit and Caramelized pork flank. Antelope is not so common; as a matter in fact can not remember any other restaurant offering it. In portion there were quite small pieces of antelope and the shape was like cold meats. Pork also was like cold meat; not exactly what you would expect, but anyway very tasty. 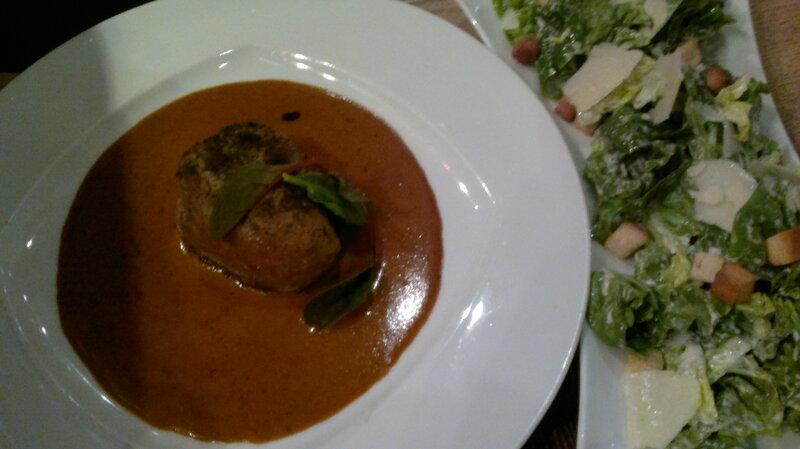 Most of the portion consisted of potato salad; small suprise as it was not mentioned in menu. Another choices for us were Giant shrimps and Bloody Mary soup and Artichoke with veggies. Interesting name for the soup and both were good. “Prato principal à sua escolha da nossa grelha de pedra vulcânica – Main course of your choice from our lava rock grill” Sounded good, so we ordered Beef tenderloin and Breast of corn-fed chicken. You could then choose “Com um molho à sua escolha – With a sauce of your choice” from six different sauces and “Acompanhamentos – With a side dish of” 4 different choises. 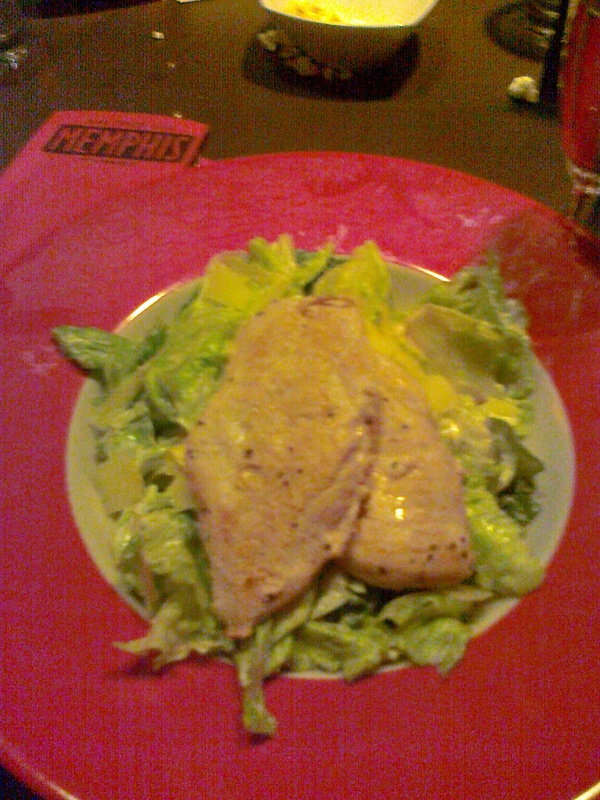 Decided to dine low carb food and chose Caesar salad and Country-style salad, no potato fries this time. Beef tenderloin was ordered as medium, but it was medium minus minus… However Rum and pepper sauce was one of the best ever tasted and perfect match for meat. Also salad under Caesar sauce was crisp but Country salad was maybe too simple although it included quinea; quite rare in Finnish kitchen. With few amendments in starters ingredients we would have given 4 as a grade for food. Visited again restaurant in July; fewer appetizers in the list but otherwise as good experience. ViiniExpo – Wines and spirits trade days on 14-16 March 2012 at Helsinki Exhibition & Convention Centre. First two days are only for professionals but Wine Lover’s Day on the 16 March 2012 allows all of us to join the event. You can get in if you are ready to pay 15€+ tastings per class. But you can find 4€ discount coupon from Finnish wine magazine (Viinilehti). At the same time HoReCa professionals gather at Gastro which is Finland’s leading event for the sector. Kaksi Kanaa is the oldest theatre restaurant in Finland with same Dinner & Show concept over 30 years. You first dine and order from a la carte or group menu lists. At 9PM starts show which might include stand up comics, theater or even drag show. Restaurant is popular place to celebrate special occasions like birthday, as our group and at least few other tabels did. As shows are acted out in Finnish and also menu is only in Finnish, might not be the right place for visitors not understanding Finnish. 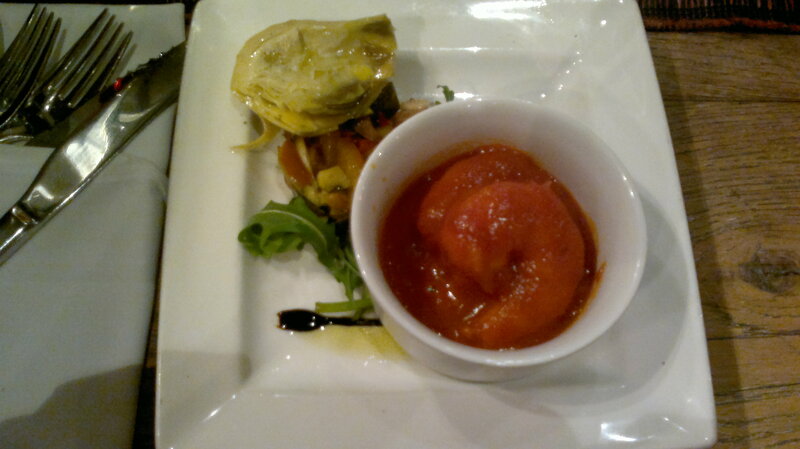 From versatile menu we chose for starters i.a. 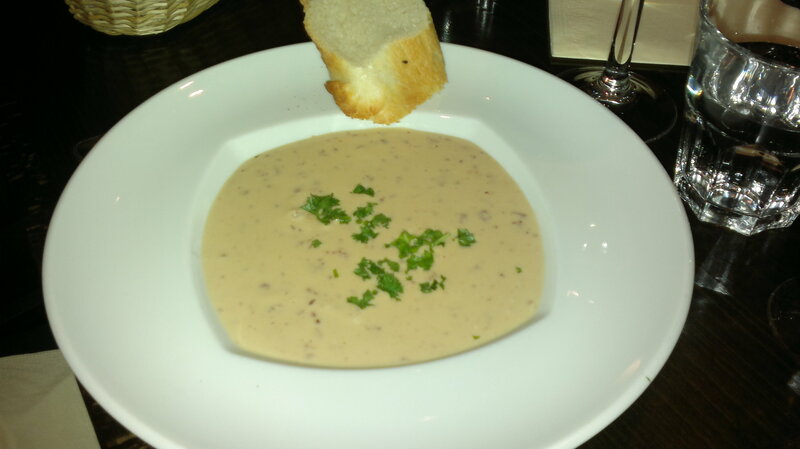 smoked reindeer soup (in the picture), toast skagen (in the picture), snails with gorgonzola and caesar -salad with chicken. 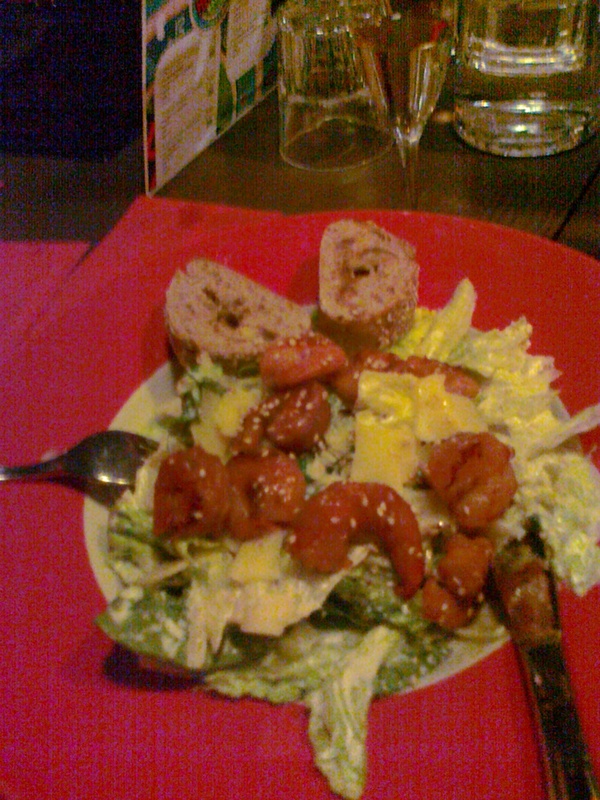 Every portion was delicious and also well arranged on the plates. Garlic tasted in the snails as it should but gorgonzola was not hidden behind it. Reindeer soup consisted of tiny meat pieces which made the soup substantial. 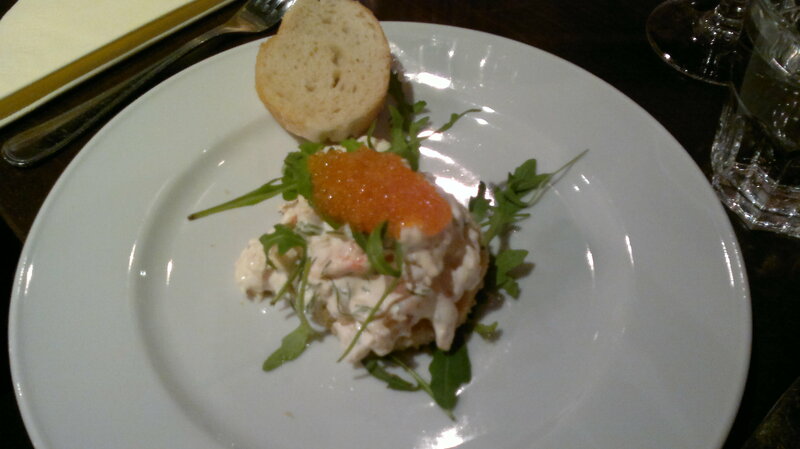 Toast skagen had plenty of shrimps on top of small white bread and whitefish roe gave extra luxury. For main courses we ate i.a. 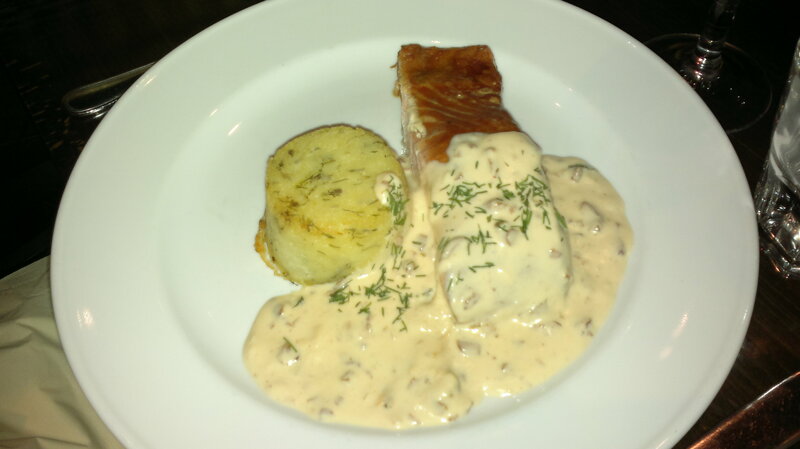 smoked salmon with fungus sauce (in the picture), grilled white fish with spinach sauce (in the picture), roasted corn chicken with rosemary-red wine sauce and garlic potatoes, Coeur de fillet – whole roasted fillet of beef with Cafe de Paris herb butter and garlic potatoes and traditional pepper steak fillet from the house with country potatoes. Portions were not as “attractive” as starters but basically OK. 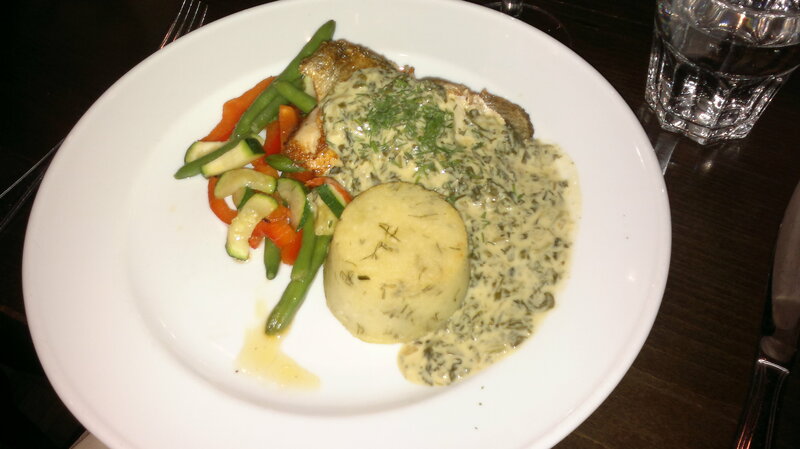 Some hassle with white fish as potatoes were not ordered ones, but steward noticed it before us. 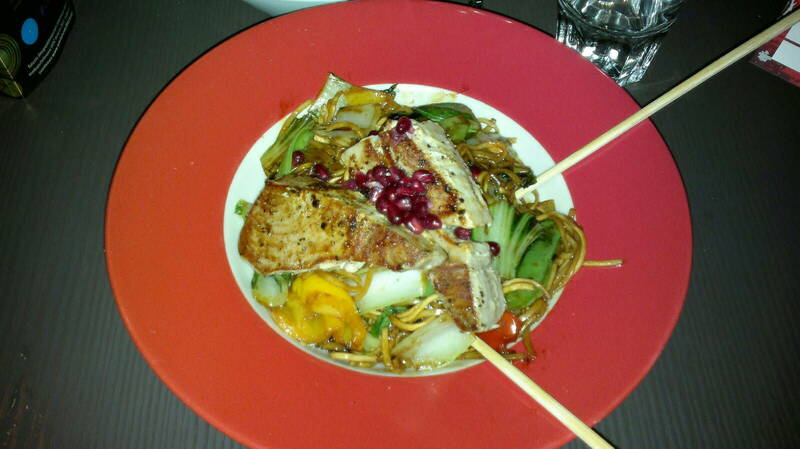 If main courses would have been at the same level as starters, restaurant would have received 4 as a grade for food. 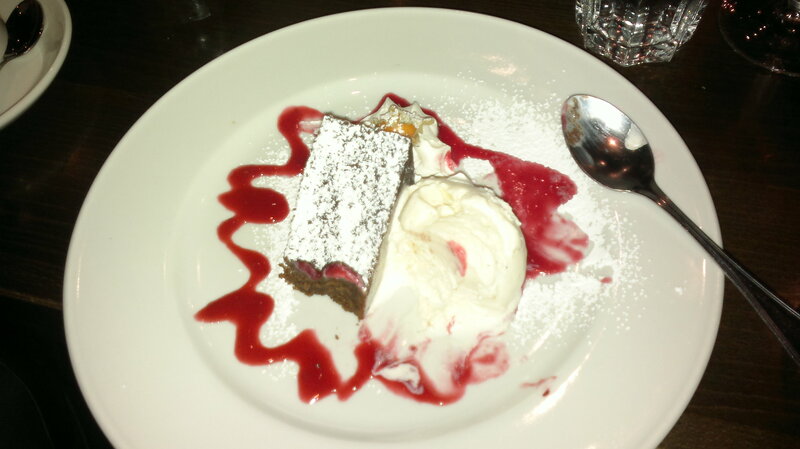 As main courses were so substantial only two of us ordered desserts. Sorbet-meringue cake and chocolate cake from the house with vanilla ice cream (in the picture). Both OK, maybe little bit more meringue would have balanced flavors. Even though restaurant was fully booked up waitering was at good level. Time to pour wine and look out for status of dining. During the evening we were at Kaksi Kanaa, Heli Sutela and Andre Wickström, stand up comedians, were on the stage. Hilarious solo performances from both; think that Heli Sutela would have won if there would have been competition. 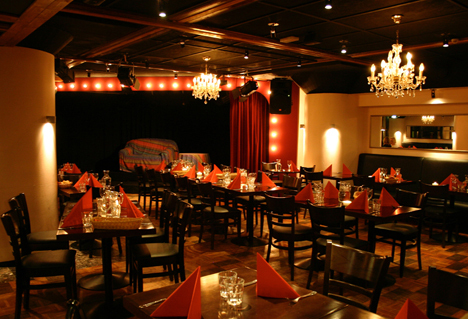 There is another popular theatre restaurant in Espoo, restaurant Alberga, which has over 20 year history. Can recommend also!